This pickup is the perfect addition for your harp's (or other stringed instrument's) electronic tuner. We recommend using it in conjunction with the Korg CA-1 Chromatic Tuner. 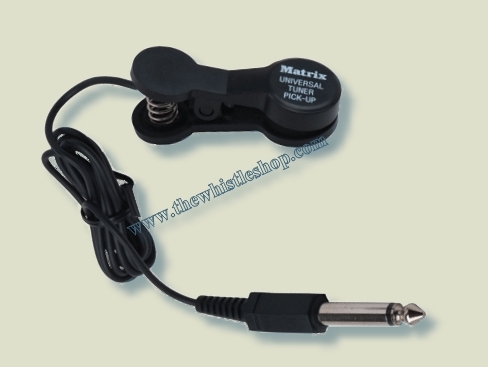 It features a Piezo Transducer pickup that is specifically designed for tuning acoustic instruments. It attaches using a spring-loaded clothespin design (foam-lined so it won't damage your instrument's finish). This pickup also works as a pickup for plugging your acoustic stringed instrument into an amplifier.